Chicago’s Locrian are probably best known for their collaborations with Horseback and Mammifer, but the now-trio of André Foisy, Terence Hannum, and Steven Hess have released much excellent music on their own. 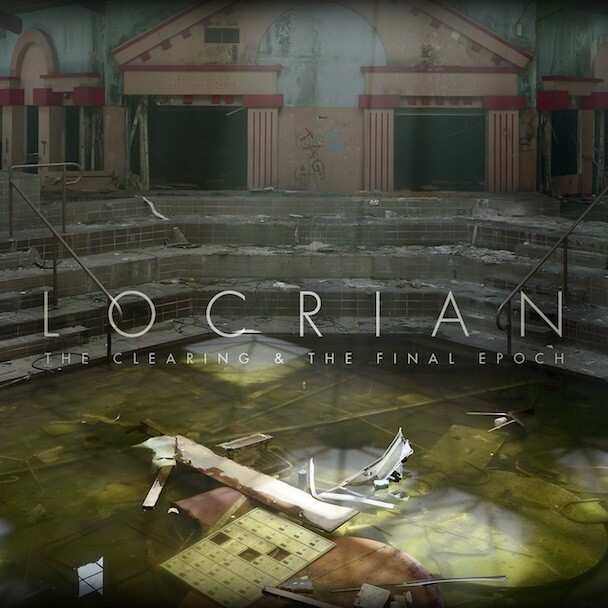 Locrian are usually filed under “metal” due to their musical associations (the above-mentioned names plus Blake Judd from Nachtmystium, Bruce Lamont from Yakuza, lots of others) as well as their label, Relapse Records. But Locrian don’t produce music that bears any tonal resemblance to metal as I know it; they deal in drone-y ambient: spacious, dark, chilling soundscapes that rest uneasily on the periphery of consciousness. “Coprolite” is from their forthcoming release, The Clearing/The Final Epoch (due on 9/14 via Relapse); it’s spare, haunted, and eerily beautiful. Listen. The Clearing/The Final Epoch is out 8/14 via Relapse. Pre-order it here.